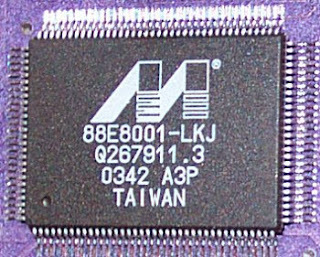 Supported chips Marvell: 88E8001, 88E8003, 88E8010, 88E8021, 88E8022, 88E8061, 88E8035, 88E8036, 88E8038, 88E8039, 88E8040, 88E8040T, 88E8042, 88E8052, 88E8050, 88E8053, 88E8056, 88E8070, 88EC042, 88E8058, 88E8057, 88E8059, 88E8048, 88E8055, 88E8062, 88E8071, 88E8072, 88E8075, 88EC032, 88EC033, 88EC034, 88EC036. 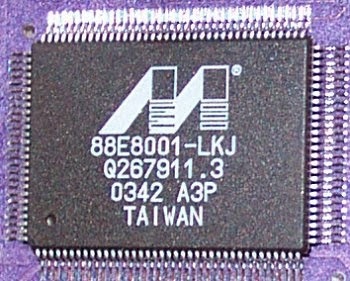 Yukon-Generic_1.DeviceDesc = "Marvell Yukon 88E8059 Family PCI-E Gigabit Ethernet Controller"
Yukon-Generic_2.DeviceDesc = "Marvell Yukon 88E8075 Family PCI-E Gigabit Ethernet Controller"
Yukon-Generic_4.DeviceDesc = "Marvell Yukon 88E8080 Family PCI-E Gigabit Ethernet Controller"
"Allied Telesis AT-2971SX v1 Gigabit Adapter"
AT-2973_1.DeviceDesc = "Allied Telesis AT-2971SX v2 Gigabit Adapter"
AT-2974.DeviceDesc = "Allied Telesis AT-2971T v1 Gigabit Adapter"
"SysKonnect Marvell RDK-8001 10/100/1000Base-T Adapter, PCI, Copper RJ-45"
"SysKonnect Marvell RDK-8002 10/100/1000Base-T Adapter, PCI, Copper RJ-45"
"SysKonnect Marvell RDK-8003 10/100/1000Base-T Adapter, PCI, Copper RJ-45"
"SysKonnect Marvell RDK-8004 10/100/1000Base-T Adapter, PCI, Copper RJ-45"
"SysKonnect Marvell RDK-8006 10/100/1000Base-T Adapter, PCI, Copper RJ-45"
"SysKonnect Marvell RDK-8007 10/100/1000Base-T Adapter, PCI, Copper RJ-45"
"SysKonnect Marvell RDK-8008 10/100/1000Base-T Adapter, PCI, Copper RJ-45"
"SysKonnect Marvell RDK-8009 10/100/1000Base-T Adapter, PCI, Copper RJ-45"
"SysKonnect Marvell RDK-8011 10/100/1000Base-T Adapter, PCI, Copper RJ-45"
"SysKonnect Marvell RDK-8012 10/100/1000Base-T Adapter, PCI, Copper RJ-45"
"SysKonnect SK-9521 V2.0 10/100/1000Base-T Adapter, PCI, Copper RJ-45"
"SysKonnect SK-9521 10/100/1000Base-T Adapter, PCI, Copper RJ-45"
"SysKonnect SK-9821 V2.0 Gigabit Ethernet 10/100/1000Base-T Adapter, PCI64, Copper RJ-45"
"SysKonnect SK-9841 V2.0 Gigabit Ethernet 1000Base-LX Adapter, PCI64, Fiber LX / SC"
"SysKonnect SK-9843 V2.0 Gigabit Ethernet 1000Base-SX Adapter, PCI64, Fiber SX / SC"
"SysKonnect SK-9851 V2.0 Gigabit Ethernet 1000Base-SX Adapter, PCI64, Fiber SX / MTRJ"
"SysKonnect SK-9861 V2.0 Gigabit Ethernet 1000Base-SX Adapter, PCI64, Fiber SX/VF-45"
"SysKonnect SK-9871 V2.0 Gigabit Ethernet 1000Base-ZX Adapter, PCI64, Fiber ZX / SC"
"SysKonnect SK-9C21 10/100/1000Base-T Adapter, ExpressCard"
"SysKonnect SK-9E21 10/100/1000Base-T Server Adapter, PCI-Express, Copper RJ-45"
"SysKonnect SK-9E21D 10/100/1000Base-T Adapter, PCI-Express, Copper RJ-45"
"SysKonnect SK-9E21M 10/100/1000Base-T Adapter for DASH 1.0"
"SysKonnect SK-9E21M 10/100/1000Base-T Adapter for DASH 1.1"
"SysKonnect SK-9E22 10/100/1000Base-T Dual Port Server Adapter, PCI-Express, 2 Copper RJ-45"
"SysKonnect SK-9E81 1000Base-SX Server Adapter, PCI-Express, Fiber SX / LC"
"SysKonnect SK-9E82 1000Base-SX Dual Port Server Adapter, PCI-Express, 2 Fiber SX / LC"
"SysKonnect SK-9E91 1000Base-LX Server Adapter, PCI-Express, Fiber LX / LC"
"SysKonnect SK-9E92 1000Base-LX Dual Port Server Adapter, PCI-Express, 2 Fiber LX / LC"
"SysKonnect SK-9I22 10/100/1000 Base-T Dual Port Express Module"
"SysKonnect SK-9P22 10/100/1000 Base-T Dual Port PMC card"
"SysKonnect SK-9P82 1000 Base-SX Dual Port PMC card"
"SysKonnect SK-9S21 10/100/1000Base-T Server Adapter, PCI-X, Copper RJ-45"
"SysKonnect SK-9S22 10/100/1000Base-T Dual Port Server Adapter, PCI-X, 2 Copper RJ-45"
"SysKonnect SK-9S81 1000Base-SX Server Adapter, PCI-X, Fiber SX / LC"
"SysKonnect SK-9S82 1000Base-SX Dual Port Server Adapter, PCI-X, 2 Fiber SX / LC"
"SysKonnect SK-9S91 1000Base-LX Server Adapter, PCI-X, Fiber LX / LC"
"SysKonnect SK-9S92 1000Base-LX Dual Port Server Adapter, PCI-X, 2 Fiber LX / LC"
"Linksys EG1032 v2 Instant Gigabit Network Adapter"
"Linksys EG1064 v2 Instant Gigabit Network Adapter"
"3Com 3C940 Gigabit LOM Ethernet Adapter"
"Marvell Yukon 88E8053 PCI-E Gigabit Ethernet Controller"
"PLANEX GEX-1000T ExpressCard Gigabit LAN Adapter"
Download Marvell Yukon Ethernet Controller Drivers ver. 20.10.11.3 WHQL Busca Driver You download the Windows driver: After downloading, unzip the driver package and install it on your computer, safe for use.